The University of Nebraska has received a $250,000 NASA Space Law pilot-program grant to create a nationwide network of students, faculty and practitioners interested in space law and policy. The project is facilitated by the NASA Nebraska Space Grant office at the University of Nebraska at Omaha, led by Scott Tarry, director; and Michaela Lucas, associate director. It will be implemented by Nebraska’s space law program, led by Matt Schaefer, co-director and program faculty; and Magilton. The Space, Cyber and Telecommunications Law program and the Nebraska Space Grant are uniquely situated to create the Space Law Network, which will strengthen, enhance and diversify connections between U.S. law schools and space law experts. Over the past 10 years, Nebraska’s space law program has trained attorneys who serve in the military, including U.S. Air Force Space Command; civil government, including the U.S. State Department; and commercial space law positions, including SpaceX and Firefly Aerospace. The program hosts one of the largest annual conferences in space law each year in Washington, D.C., and is guided by a world-class advisory board. 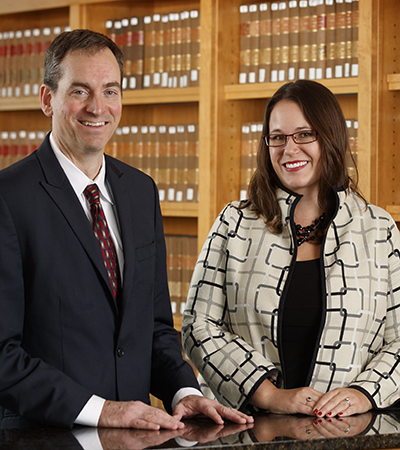 Schaefer and Magilton are prominent figures in space law education. Schaefer is co-chair of the American branch of the International Law Association’s Space Law Committee and a member of the International Law Association’s Space Law Committee. His writings have influenced congressional commercial space legislation the past three years, and he is the principal organizer of the D.C. space law conference. Magilton is vice chair of the American Society of International Law’s Space Law Interest Group. She was recently nominated for the Women in Aerospace Awareness Award for her work at the university, including increasing the number of Judge Advocate Generals from military services benefitting from space law-specific education; and organizing the annual Operational Law conferences at U.S. Strategic Command, focused in part on space operations. The Space, Cyber and Telecommunications Law faculty also includes Frans von der Dunk, author of the leading handbook in the field and adviser to foreign governments on commercial space legislation; Jack Beard, a leading figure in the Woomera Manual on the international law of military operations in space; Matt Novak, designer and teacher of a groundbreaking course in space law research; and co-director Gus Hurwitz, a leading cyber, cybersecurity and spectrum scholar.